204 pages | 33 B/W Illus. In spite of Islam’s long history in Europe and the growing number of Muslims resident in Europe, little research exists on Muslim pilgrimage in Europe. This collection of eleven chapters is the first systematic attempt to fill this lacuna in an emerging research field. Placing the pilgrims’ practices and experiences centre stage, scholars from history, anthropology, religious studies, sociology, and art history examine historical and contemporary hajj and non-hajj pilgrimage to sites outside and within Europe. Sources include online travelogues, ethnographic data, biographic information, and material and performative culture. The interlocutors are European-born Muslims, converts to Islam, and Muslim migrants to Europe, in addition to people who identify themselves with other faiths. Most interlocutors reside in Albania, Bosnia-Hercegovina, Italy, France, the Netherlands, Great Britain, and Norway. This book identifies four courses of developments: Muslims resident in Europe continue to travel to Mecca and Medina, and to visit shrine sites located elsewhere in the Middle East and North Africa. Secondly, there is a revival of pilgrimage to old pilgrimage sites in South-eastern Europe. Thirdly, new Muslim pilgrimage sites and practices are being established in Western Europe. Fourthly, Muslims visit long-established Christian pilgrimage sites in Europe. These practices point to processes of continuity, revitalization, and innovation in the practice of Muslim pilgrimage in Europe. Linked to changing sectarian, political, and economic circumstances, pilgrimage sites are dynamic places of intra-religious as well as inter-religious conflict and collaboration, while pilgrimage experiences in multiple ways also transform the individual and affect the home-community. "Muslim Pilgrimage in Europe is therefore very helpful in explaining and providing knowledge about Muslim pilgrimage phenomena in Europe. It also highlights multiple important issues on Muslims’ living in the West, especially on issues of identity, religious revivalism, and interreligious dialogue." Anwar Masduki, doctoral student in Theology and Religious Studies at the University of Groningen. Ingvild Flaskerud is a Post Doc Fellow at the University of Oslo, Norway. Her main research interests include Twelver Shia rituals, their material and visual culture, the negotiation of religious authority, and Shia migration and regrounding in the West. 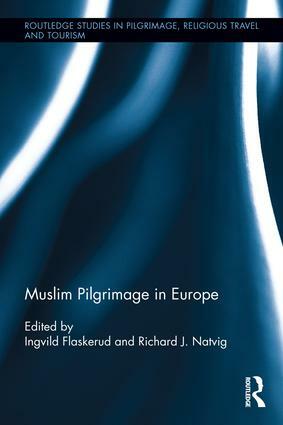 Flaskerud has published the monograph Visualizing Belief and Piety in Iranian Shiism (2010), and is the co-author, with Inger Marie Okkenhaug, of Gender, Religion and Change in the Middle East: Two Hundred Years of History (2005), as well as the producer of the ethnographic film ‘Standard-bearers of Hussein. Women commemorating Karbala’ (2003). Richard Johan Natvig is Associate Professor of History of Religions at the University of Bergen, Norway. His main research interests are everyday religion in Egypt, especially the zar spirit possession beliefs and rituals, saint cults, and religious iconography among Muslims. He has published several articles and book-chapters on these and other issues, and is co-editor of Islamer i Norge ("Islams in Norway", 2005), and of Metode i religionsvitenskap ("Method in religious studies", 2006).